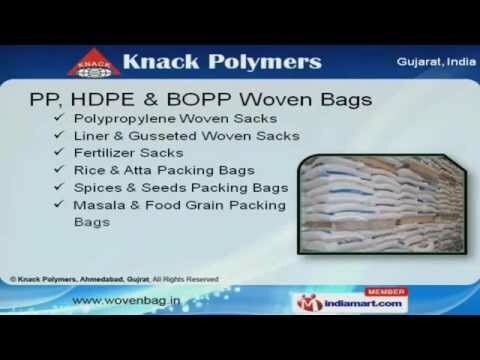 Welcome to Knack Polymers, Manufacturer and Exporter of Bags. We are an ISO 9001:2008 certified company, established in 2007 at Ahmadabad. We export to USA, UK, South and Africa. International quality standards, High-grade raw material and diligent workforce make us the preferred supplier in the industry. We offer a huge gamut of Woven Fabrics, Laminated and Paper Bags. Our P P, H D P E and B O P P Woven Bags are a class apart. Woven Fabrics offered by us that are nothing but the best solution for all your needs. We are specialized in manufacturing Laminated and Paper Bags. We are one of the large manufacturers and exporters of Liner and Gusseted Bags. Along with that we offer Cement and Fertilizer Bags that are some of our best selling products.